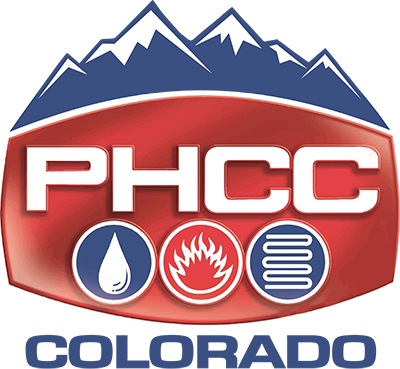 INTERESTED IN A CAREER IN THE PLUMBING, MECHANICAL, HVACR? There is always a need for skilled construction workers, and the demand is growing. By 2020, construction employment in CO is expected to grow by 10%, adding more than 11,700 jobs in the state. Specialty trades will account for the largest number of new employees, with more than 9,000 new hires needed between 2013 and 2020. With growing demand and an expected shortage in the workforce, some areas are in desperate need of qualified workers. Plumbers, pipefitters and steamfitters are on the U.S. Department of Labor’s list of the top 50 in-demand jobs in America. HVAC stands for “heating, ventilation, air conditioning and refrigeration.” HVAC and refrigeration systems are used in homes, office buildings, factories and industrial plants, stores and malls, hospitals, in airplanes, ships, cars, trucks and trains, and in schools and colleges. These systems help keep food and medical supplies safe, air clean and comfortable, protect computers from overheating, and safeguard working conditions. HVAC technicians or mechanics install, maintain, repair, and modernize ventilation, heating, cooling, refrigeration/cryogenic, environmental and industrial systems, equipment and controls. As a specialist, you could work on large scale chillers and cooling plants, devise industrial ventilation to cut down on airborne particles or noxious gases, design and install refrigeration or cryogenics chambers and systems, or even design solar energy systems that provide heat, hot water and electricity. You might perform heating or cooling load calculations to size a heating and cooling system for a new building or resize one that has expanded and modified. Growing concerns over indoor air quality have encouraged new specialties, including providing clean rooms for the manufacture of medicinal products or high quality computer components, air filtration and vacuum systems to entrap pollutants and allergens, and industrial ducting and ventilation systems to exhaust poisonous or noxious chemical fumes, dusts and particles to keep workers safe and reduce fire and explosion hazards. Plumbers traditionally install, maintain and repair hot and cold running water and sanitation (wastewater, sewage, grease trapping) piping, equipment and systems. Every home and business benefits from plumbing services. Plumbers select and install fixtures and appliances such as toilets, sinks, dishwashers, washing machines, showers, baths and other components for bathrooms, kitchens, and laundries in homes. They also provide systems and commercial equipment for restaurants and bars, hospitals, hotels, schools, offices and public buildings, and shops and malls. Often specialty systems are needed such as compressed air or cutting fluid collection for industrial plants, or sterilizers and medical gases for hospitals. Plumbers also install fire suppression systems. Plumbers install piping and tubing, fittings, pumps, valves, gauges and control devices. You could be a pipefitter or steamfitter and install a variety of piping systems for power plants (such as steam, cooling or seawater, and fuel) or industrial process plants (such as chemicals, food stuffs and slurries, or petroleum products). You might install compressed air and industrial gases like nitrogen, or hydraulic and pneumatic (air) power and control systems. Occasionally you’ll perform repair or modification work to install a new pump, repair leaking piping or service valves or pumps. You may learn to braze or weld, cut, bend and thread metal pipe, or you may work with PVC or flexible tubing. You will have a lot of choices ahead of you in the next few years. We hope you consider construction work, especially HVACR, plumbing and pipefitting. You will find the work exciting and fulfilling, and financially rewarding as well. You will find that your skills are in high demand, and that as the industry grows and changes, you can adapt your skills to meet the new technologies and new concerns. Opportunities exist to branch off into new areas too, and gain further education. You have a unique opportunity to provide vital services that ensure comfort, health and well-being. Only a few careers can make that claim!